Things are really hopping here down at the Apple Grove Diner! The gang is all here and Peggy and Kate have outdone themselves baking for the crowd gathered to launch Cait and Jack’s story. They’ve even baked up a tray of bone-shaped puppy treats for Jamie, the little black ball of fuzz who stole Cait and Jack’s hearts. So while Kate and Peggy are slicing up and dishing out man-sized servings of pie—you name it and they’ve baked it—why don’t you grab a cup of coffee or tea and pull up a chair. Caitlin Mulcahy loves her family. She really does. But sometimes they can drive her to her last shred of sanity—from her dad ("I'm not meddling, I just want what's best for you") to her eight-months-pregnant older sister to her younger sister, who will do just about anything to avoid real work. Cait just needs to get away, even if for only an hour. When she sees someone in need of help on the side of the road, of course she's going to pull over. She might even be able to fix his engine—after all, the Mulcahy family is a handy bunch. She's not expecting that former Navy medic Jack Gannon and a little black puppy named Jameson will be the ones who end up rescuing in her. For those that missed the first book in my series, it started off in November with A WEDDING IN APPLE GROVE and the oldest of the three Mulcahy sisters’ stories: Meg and Dan’s story. 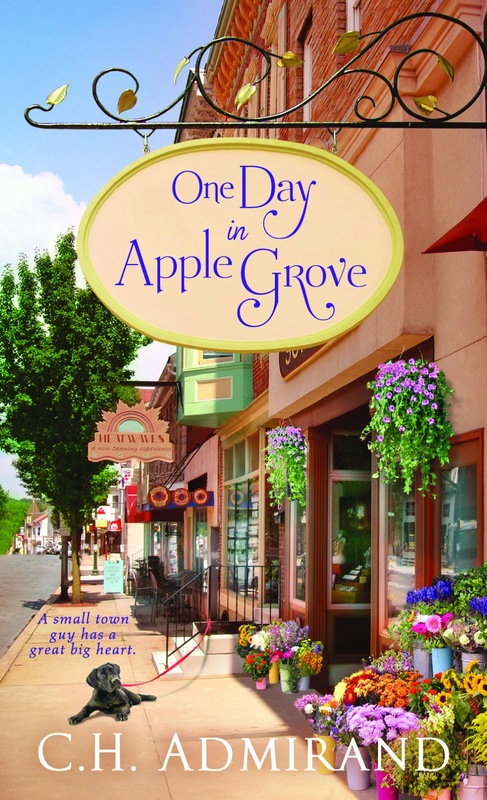 Today, I'm giving away a signed copy of ONE DAY IN APPLE GROVE to one commenter who leaves their email address. Random.org will be picking the winner tonight. And...while you help yourself to another slice of pie – if you had the Buttermilk Pie the first time around try to Buttered Pecan Pie and make sure you stop by Fresh Fiction between June 1st and June 30th and enter my Small Town Heroes ROCK Contest. 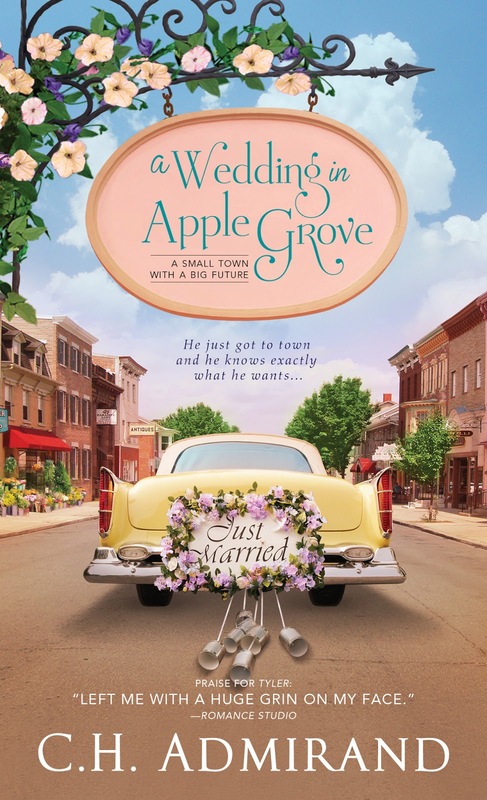 The Prize ~ 3 signed sets of books 1 and 2 in Contemporary small town series: A WEDDING IN APPLE GROVE and ONE DAY IN APPLE GROVE. Remember to sprinkle a smile and add a dash of love to all you bake! I loved the first book in this series and cannot wait to read the next! This sounds like such a fabulous book! Congrats on another release. Big ol' congratulations! Loved visiting Apple Grove. You always make things so much fun. I have to say, that I am new to your books and was looking for a fun summer read. Your two books seems interesting to read! I would love to get a chance to read them in exchange for an honest review! Thank you so much for this giveaway. I love them, because it gives me a chance to meet new-to-me authors and their books! Congrats on your second release! Congrats on another release! This does sound like a great summer read. I'm looking forward to it. Congrats on the new release. These books sound like a lot of fun. Thanks, Shana :) It's been just a bit crazy today! I'm so glad you enjoyed the first book, Now that I've done the copyedits for the third...I'm not sure which one is my favorite. LOL! Congrats to LSU Reader - Random.org chose your name as the winner. This novel sounds all that is lovely. I am so looking forward to reading it! wow!! this sounds like a fun series!!!! & the cover is GORGEOUS! !